Good for You. Good for Nature. First and foremost, I’d like to send out a HUGE thank you to everyone who has come out to visit me at the farm and for all of your encouragement and support. It really means the world to me to know that what I’m doing is appreciated. I am humbled and so grateful. And another big thanks to all of my beef share customers. I appreciate your business and your patience. I am making a few changes to streamline the process so things go a little more smoothly this fall. I am excited to announce that because of your interest, I’ve decided to raise pigs again this year and do a pork share this summer. I’ll be getting piglets in March from a Niman Ranch producer and processing in July. All Niman Ranch farmers must follow strict protocols based on sustainability and humane practices. So these piglets start out the best way possible and continue living a natural lifestyle, roaming and rooting, on my farm. I am asking $250 down for a whole pig or $150 down for a half share. More details and payment options can be found here: http://dragerfarms.com/product/pork-share/. If you want a whole or half share but don’t have room to store it, I can keep it for you (up to 1 year) for an additional 50¢ per pound. If you’re interested in something other than a whole or half share, please let me know so I can plan accordingly. Call or text 717-951-0327, or email nathan@dragerfarms.com to discuss. MARIETTA, PA (AUGUST 30, 2016)–Drager Farms, LLC is the first farming business in Pennsylvania to be Certified Grassfed by A Greener World (AGW). This is the only certification and logo in the U.S. and Canada that guarantees food products come from animals fed a 100 percent grass and forage diet, raised outdoors on pasture or range for their entire lives, and managed according to Certified AWA’s leading welfare and environmental standards on an independent family farm. While other grassfed labels exist, none has fully met consumer expectations when it comes to a grassfed and forage diet, environmental management, and farm animal welfare–until now. Drager Farms is Animal Welfare Approved! We are so happy to announce that Drager Farms has officially been accepted by the Animal Welfare Approved program! That means our cows are cared for humanely throughout their entire life cycle. We know that happy cows are better for everyone! 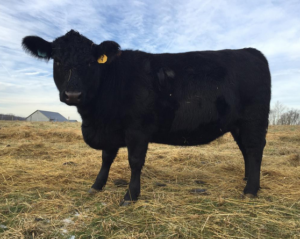 We now have new grass-fed beef and pastured pork products for 2016. Check our store for all the latest. 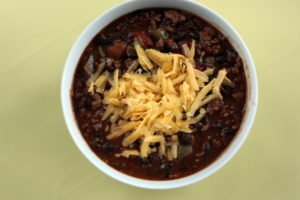 This recipe is from our good friend and customer, Leah L. Thank you, Leah! 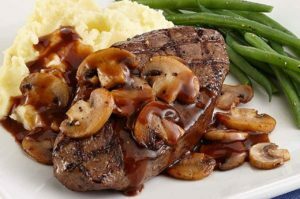 This rich mushroom and red wine sauce is so delicious you’ll want to lick your plate clean. Serve with a side of mashed potatoes and steamed green beans. Are you hungry yet? A little something different. 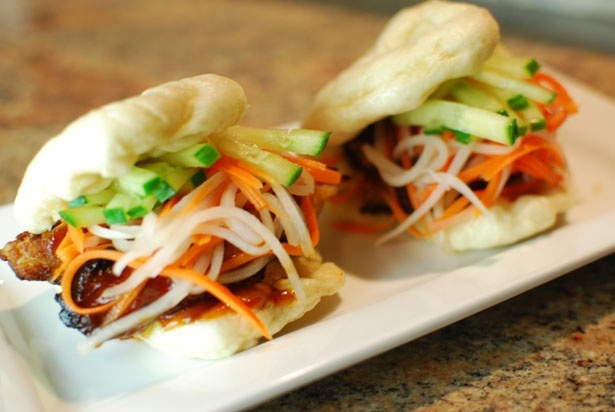 Somewhat time consuming but perfect for a lazy Sunday afternoon in the kitchen. 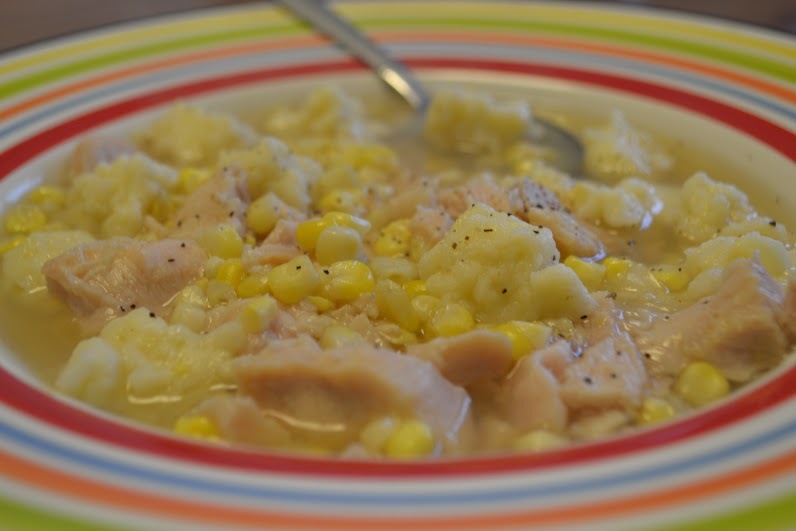 This was another childhood staple: good ole chicken corn soup. Oh my! How I loved making those doughy balls with my grandmother and eating them before they were even in the soup! You can eliminate the doughy ‘rivels’ from the recipe (or substitute potatoes instead) and you’ll still end up with a delicious hearty soup. 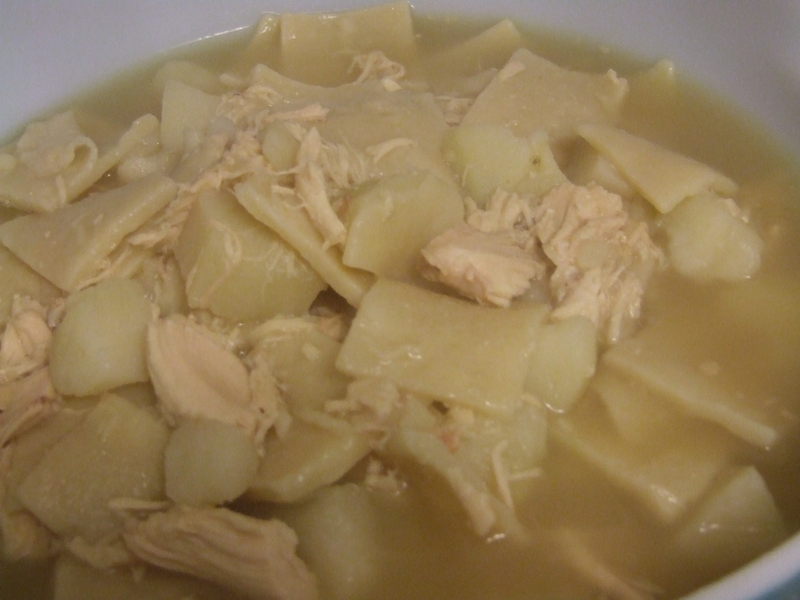 Traditionally, the Pennsylvania Dutch chicken pot pie recipe is actually less of a pie and more of a soup or stew. This recipe is most like what our grandparents used to make. It’s a little time-consuming to prepare since you have to boil off the chicken and make your own noodles. But in the end, it’s some serious comfort food. If you’re running short on time (or just feeling lazy) you can substitute cooked bow tie pasta for the homemade noodles, like my grandmother used to do. 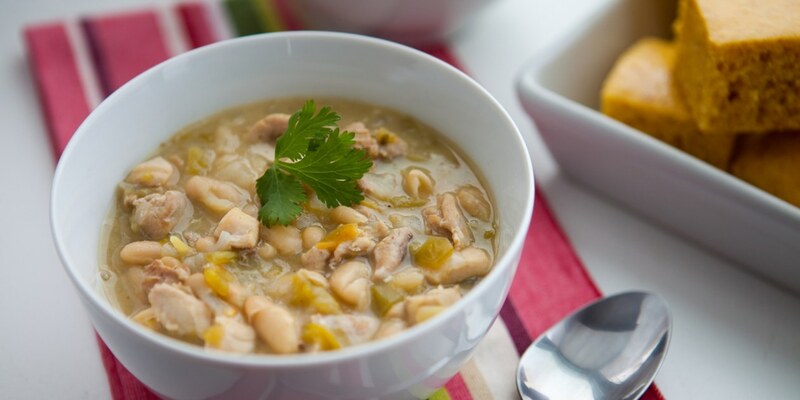 A hearty soup that’s perfect for a cold winter day — or night. Top it off with some shredded cheddar, avocado, cilantro and spicy jalapeños (for a little more heat) and serve with some warm corn bread for a complete meal. Mmmm-mmm! 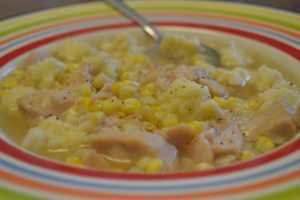 This is no Pennsylvania Dutch recipe, but it sure is some delicious comfort food! Try it straight up or “four ways” with spaghetti, raw chopped onions, grated mild cheddar, and oyster crackers! 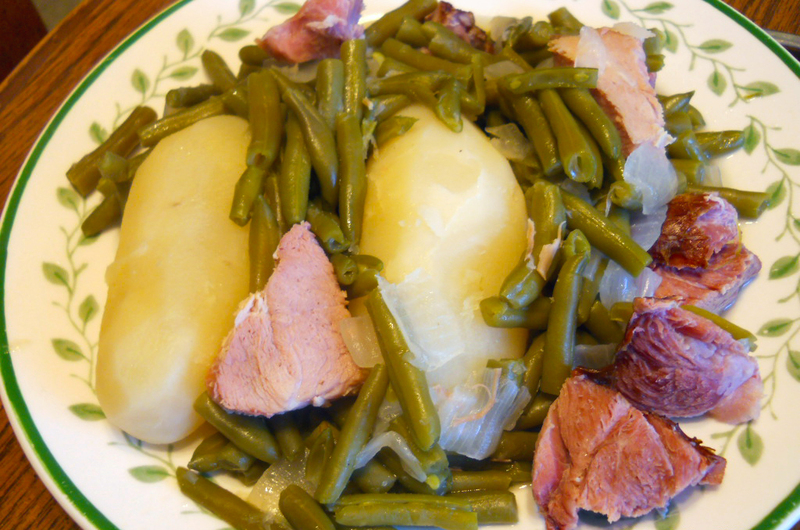 Another classic Pennsylvania Dutch standby, especially when local green beans are in season. You can use more or less beans or potatoes as desired. 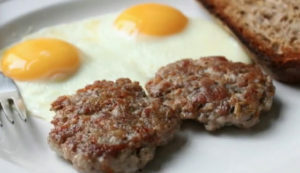 You can also substitute a leftover meaty ham bone for the meat or even a little bacon for a lighter version. Hours by appointment. Call or text to schedule. We serve our local area. All orders placed online must be picked up at the address listed on the Contact page. Copyright © 2019 Drager Farms, LLC. Powered by WordPress. Theme: Accelerate by ThemeGrill.